I looked at the programme for “The Greenbelt Festival: Where Faith, Arts and Justice” collide, and blinked at the title of a talk: “The Meek Shall Inherit the Earth.” The description read: Based on the story of Naboth’s vineyard as a perennial tale of land and dispossession. The presentation takes us into the temple with Isaiah as he reaches the depths of despair, to the outer court of the temple as Jeremiah denounces the king, to the Peruvian rainforest as the army confronts indigenous people and to the Scottish Highlands as the people are cleared from the land to make way for sheep. It ends on the hillsides of Galilee”. 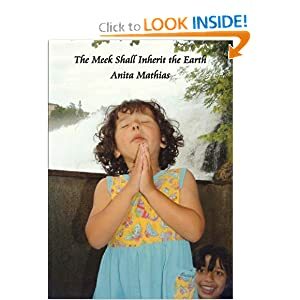 “Does anyone really believe that the meek inherit the earth?” I asked my husband, Roy. These paradoxes are, indeed, a golden thread running through the teaching of Jesus: Those who give -time, energy, money- receive far more than they have given. Seed sown yields an exponential harvest. The greatest is she who blesses other people. Those who exalt themselves will be humbled, and those who can take the lower place will be exalted by God. And so I settled down with a Bible, a journal, and a thermos of green tea for some deadly serious Jesus-and-me time. Because what I believe about these questions is crucial: Do the meek inherit the earth, or don’t they? Is what Jesus says true, or isn’t it? My answers will determine the direction of my life and how I live it. 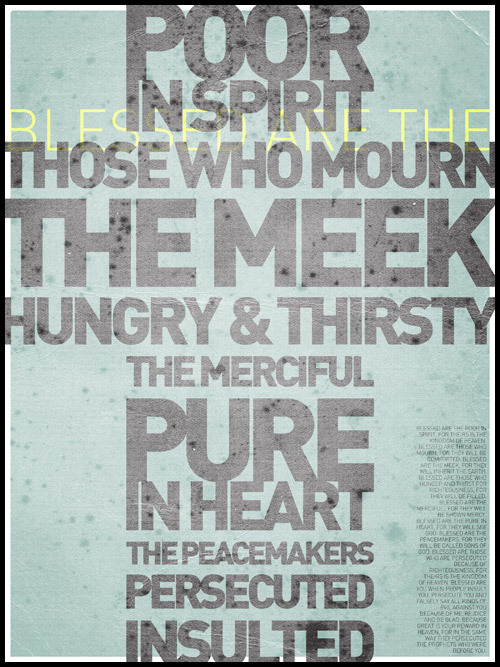 Meekness is a quality of soul and character, unrelated to economics, social status or education. The New Testament word “meek,” πραεις, praeis, describes those who have a mild, quiet, gentle spirit, in opposition to the proud and supercilious. “The meek are those who quietly submit to God; who can bear insult; are silent, or return a soft answer; who, in their patience, keep possession of their own souls, when they can scarcely keep possession of anything else. These meek ones are happy, even in this world,” Matthew Henry’s Commentary. Roy is a mathematician, and has a more logical mind than I do (or so he tells me!) He pointed out that I was puzzled by Jesus’ statement that the meek inherit the earth because I was instinctively equating the meek with the poor. But this is a false equation. Poverty does not necessarily bring out meekness and gentleness. Friends who worked with Heidi Baker’s Iris Ministries in the bush of Mozambique wrote that though they had brought enough food to distribute, the desperately hungry people fought “like wolves” for the food, so they moved on, without distributing what they had. The poor are not necessarily the meek. These countries lead the world in homicide rates—Honduras, El Salvador, Venezuela, Guatemala, Belize, Columbia, Trinidad, South Africa, and Brazil. The most dangerous countries for women are Afghanistan, The Democratic Republic of Congo, Pakistan, India and Somalia. And when it comes to physical abuse and economic exploitation of children, the worst countries include India, Nigeria, Zambia, Sri Lanka, Indonesia, Thailand, Cambodia, Myanmar, Vietnam, and Laos. All these countries have a low per capita income. Poverty can bring stress, anxiety, bitterness, jealousy, and increased temptations to dishonesty. It can also bring empathy, gratitude, an appreciation of simple pleasures, family bonding and closeness. Some very poor people are meek and gentle, and some are not, just as some rich and successful people are meek and gentle, and some are not. I have met humble, gentle people at High Table in Oxford Colleges and at Oxford’s magical garden parties—as well as, of course, the opposite. And I have met prickly, arrogant poor people—as well as, of course, the opposite. Why should I be meek? Because I am a Christian, and Jesus wants to teach us meekness so our souls may find rest. “Come to me, all you who are weary and burdened. Take my yoke upon you and learn from me, for I am meek and humble in heart, and you will find rest for your souls.” (Matt 11 28-30). And rest is one of the pearls of great price in life. These include: health, love, friendship, fascinating work, and enough money to live a stimulating culture-filled, low-hassle life. And mental peace, shalom. Without inner peace and well-being, shalom, one cannot fully enjoy the rest of these. And Jesus promises–to those who are meek and humble like him–the rest and peace we need to enjoy the earth. Meekness, like humility, is an abstract concept, best understood and illuminated by its opposite. The opposite of humility is pride. Pride steals our rest and peace. It makes entertaining stressful. Wastes time and money in the effort to keep up appearances and impress. Leads to conflict in trivial things. It makes us overwork. It blights creativity with perfectionism instead of making peace with good enough. And adds a special twist of bitterness to failure, making it feel like death. What’s the opposite of meekness? Being pushy, aggressive, loud and overbearing. Self-centred, manipulative, deceitful and scheming. Would you want to be like that? To achieve your heart’s desires? To gain the whole earth, so to speak. I would not. I would loathe “unmeekness” as a way of life. The stress would not be worth it. And people instinctively resist the pushy, aggressive and manipulative. Not only do you not find God on your side—for “God resists the proud,” as the Apostle James writes, you may well find the world of men resisting you. Besides, it is safe to be meek. There is really no need to be pushy, scheming, manipulative or aggressive. Because we live in a world charged with the power of God, and so don’t need to push and shove, manoeuvre and intrigue our way through life. Because the earth is the Lord’s and the fullness thereof. Because the whole earth throbs with his glory. Because we do not have because we do not ask (James 4:3), and we have but to ask to receive (Matthew 7:7). Because he can give me what he pleases without my having to scheme how to get or grab it. Because when I look out for myself, he lets me. But when I let him look out for me, he lets me, too. And I know which is better. Part II: The Earth Belongs to Those who Take the Time to Enjoy It.